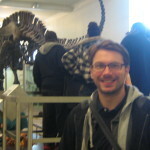 A smorgasbord of Wikimedia projects to choose from: not just Wikipedia! In visiting a lot of different people of places over the last two months, one question keeps cropping up: what is the difference between Wikimedian and Wikipedian? Which is a fair question. Ultimately, Wikimedia UK is the parent or umbrella body, a charitable non-profit foundation (the UK chapter of the global Wikimedia movement which has its HQ in San Francisco) which exists to support & promote Wikimedia’s projects in the UK: one of which happens to be its main open Knowledge project, Wikipedia. Wikipedia is the largest collection of free, collaborative knowledge in human history. Millions of people from around the world have written and added to Wikipedia since it was created in 2001: anyone can edit it, at any time. Wikipedia contains more than 35 million volunteer-authored articles in more than 290 languages. Every month, Wikipedia is viewed more than 15 billion times, making it one of the most popular sites in the world. The people who support it are united by the joy of knowledge, their passion and curiosity, and their awareness that we know much more together than any of us does alone. What is the Wikimedia Foundation? However, while Wikipedia draws the most attention, there are numerous ways where staff & students can get involved & directly contribute their knowledge & expertise to develop Wikimedia UK’s diverse range of projects. Not just Wikipedia: Wikimedia UK’s diverse range projects (above). Wikisource, for instance, is a ‘free content library of source texts’ with some 300,000+ source texts which anyone can use. Wikimedia Commons is our media repository with over 30 million freely usable media files to which anyone can contribute to and re-use. Wikibooks, an open-content textbooks collection that anyone can edit, has been utilised by some academic institutions (notably Greg Singh, lecturer in Communications, Media & Culture at the University of Stirling) as an assessed part of their courses where students work in research groups to contribute chapters to create a brand new textbook, the Digital Media & Culture Yearbook. Wikidata, in particular, as Wikipedia’s newest sister project offers up a wealth of possibilities as a structured database of all human knowledge which is readable by humans and machines. 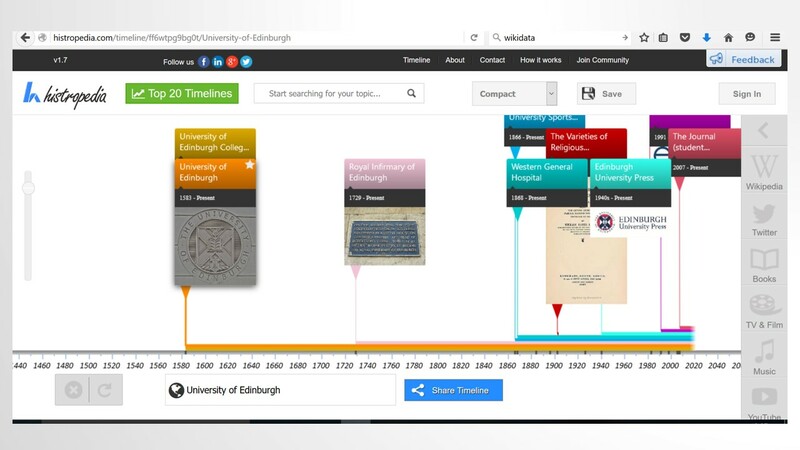 For example, the Histropedia website makes good use of the data Wikidata harnesses in order to create visually stimulating & dynamic timelines: be it as straightforward as a timeline of University of Edinburgh alumni or something much more bespoke: such as a timeline of descendants of Robert the Bruce, who are female, and born in Denmark. 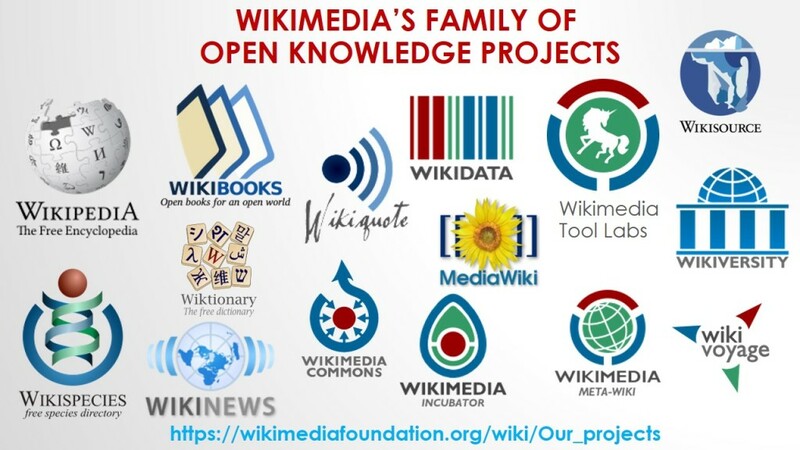 As the residency continues, I hope to explore each of these projects a bit further (and others besides) and see if any collaborations can be achieved which mutually benefit the university and Wikimedia in adding open knowledge content to these projects. So watch this space… and if you have any questions about any of the projects then let me know.